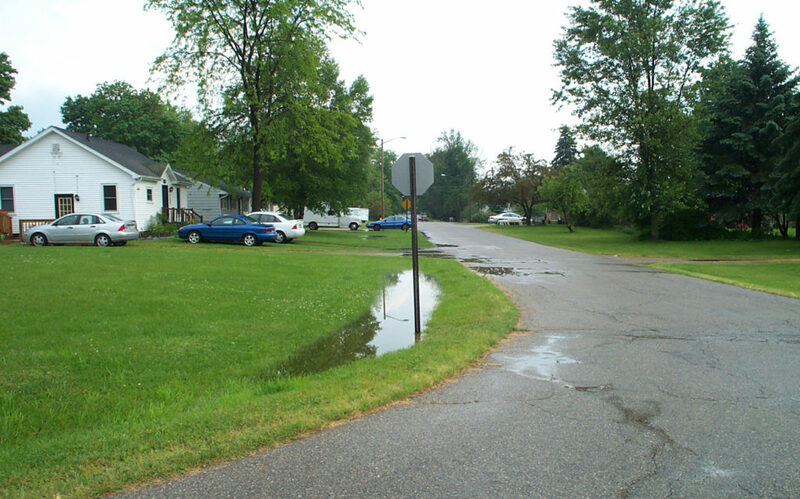 The project arose from a series of petitions by the Village of Webberville and Leroy Township to the Ingham County Drain Commissioner to alleviate residential property flooding within the Village of Webberville and surrounding Leroy Township areas within the Webberville Consolidated Drain Drainage District. 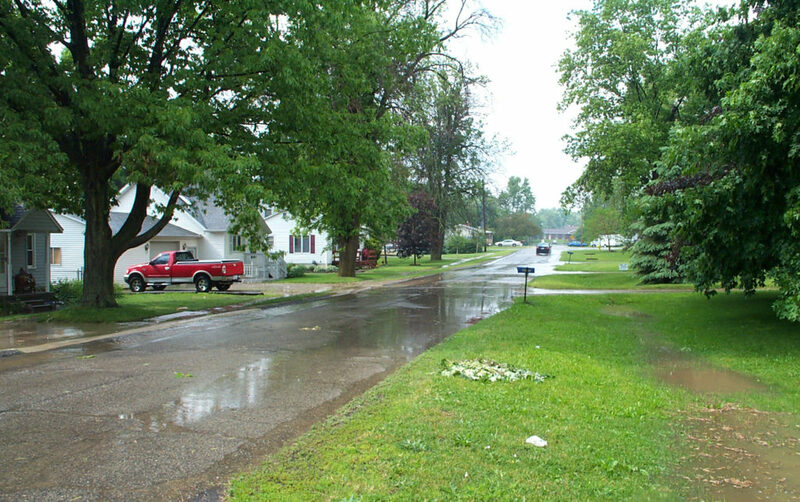 A 2012 survey of 237 homes in the village indicated 23 percent had experienced basement flooding issues as 32 percent had surface drainage issues. 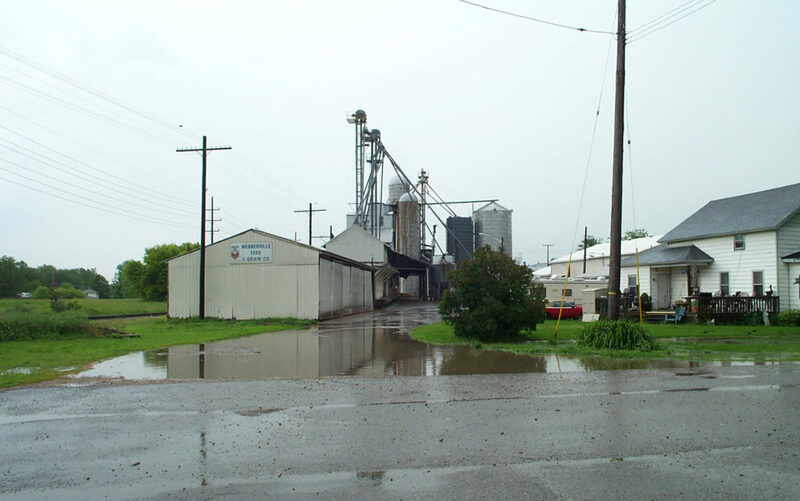 Several analyses were done on the system by Lockwood, Andrews & Newnam (LAN), project engineering consultant, to determine the need to improve the drain system in Webberville. The flooding in roadways creates safety hazards and disruption to the roads. There is also a need to separate connections between the sanitary and storm water systems. The Drain Commissioner’s project team has developed a cost effective solution to the drainage and flooding issues. The project incorporated design elements to help minimize conflicts with other utilities and proposed infrastructure improvements planned by the Village including the Safe Route to Schools Sidewalk project and the future Main Street Improvement Project. The Drain project consists of the replacement and rehabilitation of the existing storm sewer infrastructure of the Webberville Consolidated Drain. New storm sewer construction will consist of installation of enclosed pipe, drainage structures, bio-retention swales, culverts, minor site clearing, two water quality basins for first flush runoff treatment, waste soil hauling and leveling, road construction work including base aggregate and HMA paving. 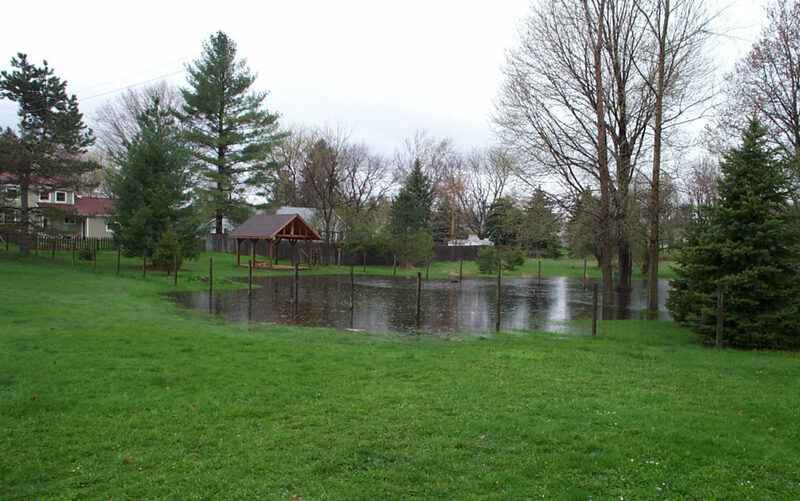 The use of natural drainage features and topography is intended to capitalize on the use of Water Quality Basins, Bio-Retention Swales, Wetland Complexes and Open Drain System to add to the longevity and capacity of the system while minimizing operation and maintenance costs of the storm water system. Work will generally occur along Howard Street, Summit Road, Pine Street, and W. Beech Street, while there will be some work in backyard areas, along the Oak Lane golf course and across the railroad tracks south of Clark Street. Two contracts have been awarded for the project. Contract 1 consists of the areas in the northern part of the village including the golf course and areas crossing the railroad tracks. Contract 3 consists of the open drain areas and water quality basin south of the railroad tracks. Contract 1 has been awarded to C & D Hughes, Inc. and Contract 3 has been awarded to Mead Bros. Excavating, Inc.
– Provides for construction, maintenance and improvement of County public storm drains. – Responsible for the legal establishment and administration of drainage districts. – Assesses benefited property owners to pay for costs of the drains. – Other responsibilities include lake level control, soil erosion control, acting as the County Board of Public Works and review of proposed subdivision plats. SCHEDULE SHOWN IS PRELIMINARY IN NATURE AND SUBJECT TO CHANGE DUE TO WEATHER, UNFORESEEN SITE CONDITIONS, MATERIAL AVAILABILITY, PERMITTING, ETC.